This old book review by the late Curt Maynard came up last night when I was doing a search on the topic of nationalism vs. globalism, something I had listened to Michael Collins Piper speaking earlier in the day. Curt’s “review” is much more than that. Please enjoy and learn as I did. To assist you should you wish to read this book yourself, I have pasted the Scribd version of the book at the bottom of the review. Having just finished reading Michael Collins Piper’s latest book The Judas Goats, I am once again amazed by his insightful analysis of what is truly one of the greatest problems facing the world today and that is the misunderstanding of nationalism and what that means for the future of mankind. My own view on the matter is admittedly simple, I see, in the words of Zeppelin front man Robert Plant, “two paths we can go by,” and that is either Internationalism or Nationalism. 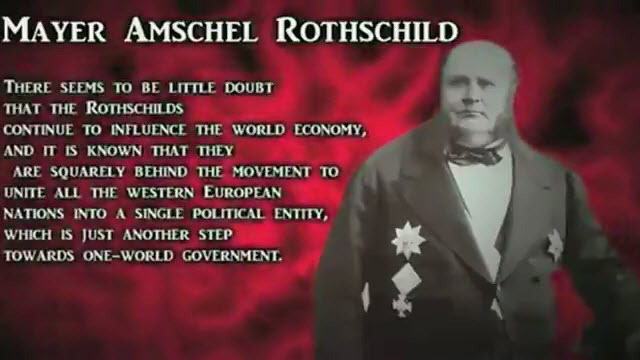 We already have Internationalism as manifested by the frenetic pursuit in establishing the global economy and with it the inevitable emergence of a one world government, a “New World Order,” by any other name. than the mantras associated with it. Nationalism has received nothing but bad press in the Zionist dominated media ever since WWII, and when bad press alone wasn’t able to stop the materialization of Nationalist thought somewhere in the world, the Zionists pressured their proxy agent, the United States of America to intercede in some manner, usually militarily. This is exactly what happened in Serbia, after the collapse of Yugoslavia, the Serbs sought to establish, rightfully, their suzerainty over an area that had traditionally been heavily Slavic in orientation, but was also mixed with Turks and their descendants. The Zionist media never attempted to understand the Serbian point of view, rather they sought only to stifle the expression of Nationalism among the Serb people; they saw the emergence of Serbia under Milosevic as a threat and for that reason and that reason alone, the Zionist media found itself allied with Muslims in Bosnia, Macedonia, and Albania. It wasn’t out of a sense of altruism and benevolence that the Zionists allied themselves with the region’s Muslims as clearly evidenced by the recent conduct of the Zionist state of Israel in the Middle East, and their co-ethnics coverage of the wars in the American, Canadian, French, German and British media, it was simply a matter of stifling the expression of Nationalist sentiment among a population in Eastern Europe. They’d do the same if that expression manifested itself in Southeast Asia or Central and South America. and cannot coexist in perpetuity. and the societies built around such views. I am in no way attempting to mitigate any atrocities the Serbs may have committed against the Muslims in the region, but I will say that atrocities have been committed on both sides, but only the Serbs were subjected to any media scrutiny. Because of the Zionist media, the entire world was aware of the so called ethnic cleansing of Muslims by Serbs, yet very few people in America are today aware of the fact that many Serbs have been ethnically cleansed and/or murdered by their former victims since Serbia’s capitulation following the American led bombing campaign. can respect the sovereignty of another nation. Nationalism, according to Wikipedia can be defined as “an ideology that holds that a nation is the fundamental unit for human social life, and takes precedence over any other social and political principles. rather than following their respective national governments. 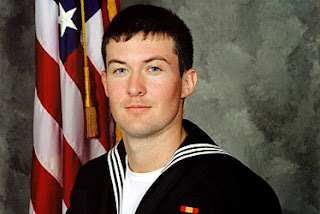 “can no longer assume that the average American knows what better informed Americans know. For they don’t know what we know. Truer words have never been spoken, the Zionists cannot operate in the light of day, they cannot continue their charade if they are being scrutinized, thus they rely on subterfuge and deception in order to keep the sheep in the dark. 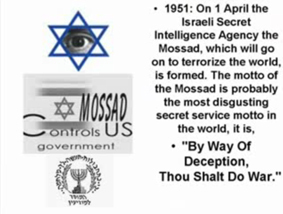 ED: By deception we shalt wage ware is the Mossad motto. At this juncture there is no longer any point or purpose to holding back, we don’t have much more time, we either extricate ourselves from the grip of Jewish Supremacism in the very near future or we capitulate to the slavery the Zionist entity has in mind for us all. It’s time to call a spade a spade! to what the New World Order has in store for us. Piper’s book was written with the intent of exposing the numerous “Judas Goats,” or traitors within the ranks of the American Nationalist movement, which additionally includes the traditional conservative movement as well, but the book becomes considerably more than that. It’s a veritable treatise outlining the subversive strategies employed by America’s power elite ~ Piper uncovers and fully exposes the Machiavellian policies employed against the American people themselves, and how the government works hand in hand with the media apparatus to betray the very people they are supposed to protect. More so than any other book I aware of, Piper’s book details how the Zionist power elite infiltrate every single movement in the United States, whether it be of the socialist, nationalist, or anarchist persuasion, whether it be right-wing or left-wing, whether it be conservative or liberal. 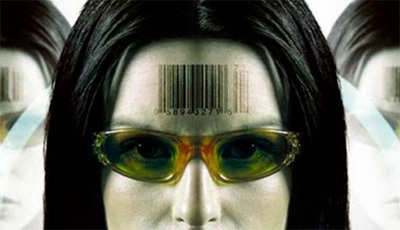 The groups are infiltrated and either steered away from any platform that might include criticism of Israel, Zionism or organized Jewry or they are thoroughly discredited, usually as a result of actions taken from within the group by the Judas Goats themselves. Via the inevitable highly manipulated negative media coverage that is certain to follow, as they have consistently done in the past, Zionists have totally dominated African-America movements over the last 100 years. They are currently worming their way into pro-illegal immigrant movements here in the United States in an effort to do what they have always done in the past, infiltrate, dominate or destroy. By saying that of course, Piper means this type of government behavior originated in Russia under the Bolsheviks, which as we all know by now means under the Jewish Supremacists that absolutely dominated the Bolshevik government of the early Soviet Union. THAT STANDS IN THEIR WAY. In a recent “Open Letter to the President of Iran,” the illustrious John “Birdman” Bryant noted the fact that the neo-conservatives,” have even gone so far as to hire former KGB and Stasi officials to properly prepare the way for the introduction of the modern American Police State. ED: Consider that since this review was written, Israel has consolidated its position as traing grounds for modern policing. Just last week the NYPD announced the opening of an office in Israel. Without a doubt Piper is correct, nationalism must be the way of the future, with two paths before us, one in which the world is composed of many nation states governed by representatives of such states or one in which a One World Government sweeps aside all pretense and the few govern the masses with an iron hand and the cruelty of an impersonal bureaucracy, the likes of which we have never seen before, nor could even imagine. 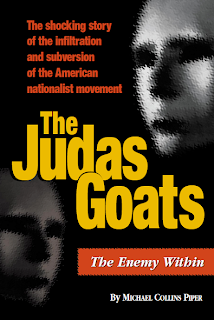 In The Judas Goats, Piper introduces the reader to several tried and true nationalists, good people like Willis Carto, Pat Buchanan, and Eustace Mullins, individuals that have sacrificed a great deal so that future Americans might learn that America hasn’t always embraced the Internationalist worldview it does today. The author also introduces the reader to the Judas Goats themselves, people like Bill O’Reilly, Rush Limbaugh, Sean Hannity, Ann Coulter, Laura Ingraham, Michael Moore, David Horowitz, Oliver North and many, many others. The aforementioned care not what happens to their neighbor, all they care about is the wealth and fame that comes along with their treasonous duplicity ~ they cast their neighbor to the crocodile hoping to be the last eaten. The author reveals James Mitchell Rosenberg, the “ADL’s favorite Nazi,” a Jew who infiltrated the American far right back in the late 1970’s, pretending to be a non-Jew named “Jimmy Anderson,” who then became one of the most ‘outspoken and outrageous American “right wing” extremists’” of all time, inciting racial violence at every opportunity, all the while dressed in a Nazi uniform. 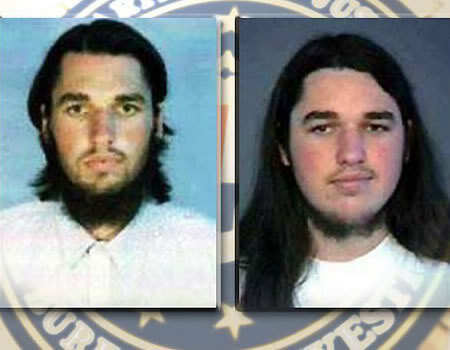 Eventually Rosenberg’s true identity was discovered and he has since faded from the scene, but not before the damage was done, he had done his part to discredit nationalism by “creating” problems where none had previously existed and then calling on his friends in the media to cover his violent rhetoric in an effort to alienate the average American from anything that even sounded like nationalism. 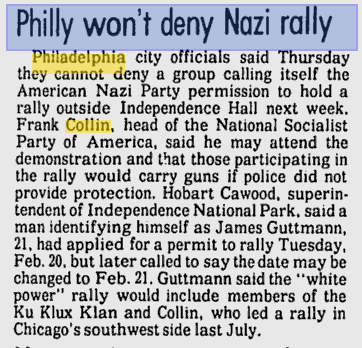 Frank Collin threatened to join Mordechai Levy aka "James Guttman's" kosher 'Nazi' rally in Philadelphia 1979, and bring weapons. The permit for the rally was not granted when "Guttman" failed to appear in court in person. Mordechai Levy is named after the infiltrator of the Persian kingdom in the book of Esther which role Mordechai Levy emulates to the most fanatical degree. This is a manifestation of the perpetual Purim that plagues the kosher U.S. which was spoken of HERE. Piper also details the story behind another ADL “plant,” a gentleman named Mordechai Levy who assumed the moniker “James Guttman,” in an effort to infiltrate the Klan and generate as much negative attention as possible by staging a rally where he hoped to foment violence and capture it on video, editing it where necessary, so that that he might show that Klan in the worst possible light ~ fortunately he wasn’t successful and nobody got hurt. The author convincingly proves that the John Birch Society itself, an organization considered for years to be the paragon of American conservatism, was in actuality nothing more than a CIA/FBI/ADL front, set up in order to monitor the American conservative movement from the inside and to subvert any and all expressions of true nationalism among its membership. Piper also details the story of one Roy Bullock, an ADL mole that attempted to infiltrate the Liberty Lobby ~ fortunately Piper saw through his lies and identified him early on as an agent provocateur, and he wasn’t able to do any damage to the Liberty Lobby or The Spotlight, an associated publication world famous for its fearless journalism. Eventually Roy Bullock became embroiled in an embarrassing scandal of monumental proportions involving the ADL and the Los Angeles police department ~ Bullock had been using a police officer named Tom Gerard to steal information from LAPD files and then was passing it along to the ADL, information they had no right to have, and no doubt intended to use against whomever it was they were seeking information on. The entire scandal blew up in the face of the ADL, but much of it went unnoticed by average Americans because the largely Jewish media suppressed the story and its implications. 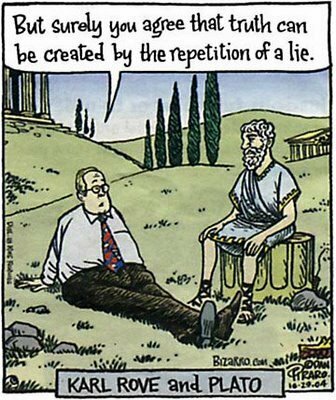 the “Right” or the “Left” positions in politics. These are artificial Jew invented positions. is absolutely essential to the success of this power system. Jewish political quackery would not long survive exposure. is now receding into the past. Of course Morris meant that the Zionist media exploited the so-called differences between the right and left in order to dominate the issues themselves ~ the Zionist media could be relied on to emphasize what supported the Zionist agenda and suppress what didn’t. This isn’t something new, patriotic Americans have been quite vocal about Jewish control of the American media for more than ninety years. Such eminent American military officers as General Mosley, General Patton, General Fries, General Willoughby, General Wedemeyer, General Stratemeyer, General Pedro del Valle were convinced to a man that Jews wielded a disproportionate influence in various American institutions but most especially in the media, where they felt public opinion was being manipulated in such a way as to advance Jewish interests [Later Zionist interests] and discredit those who sought to draw the American peoples attention to these matters. It is safe to say that no other American minority group has to the extent of Jews been accused of the same manipulative and/or hegemonic influence. As an example, one never hears the idea that African-Americans, Mexican-Americans, Asian-Americans, or Arab-Americans dominate the media; it is and has always been always Jewish-Americans. In an article this blogger wrote earlier this year entitled “There’s the Big Lie and then there’s the Really Big Lie,” I pointed out that the so called “Big Lie,” didn’t originate with whom the media would like you to believe it did, that is Adolf Hitler, the term was utilized by Hitler to describe a technique Jews had been using through their monopoly on the German press as far back as first decade of the Twentieth Century in Germany ~ and that is the creation or fabrication of history and the present. The modern American media would have you believe that 9-11 was carried out by 19 Arabs armed with box cutters, and a deep hatred towards Americans because of our “freedoms,” despite the overwhelming evidence that implicates the United States government itself, the state of Israel and the Zionist Fifth Column media here in America. This is an example of the “Big Lie,” at work ~ who would ever believe that our own government, and a so-called Middle Eastern ally with the complicity of the mainstream media would ever engage in the mass murder of American citizens? It’s outrageous! It’s too fantastic to even consider! It’s crazy! Nonetheless there it is, there is no way in hell that 9-11 was carried out by 19 Arabs with bad attitudes. There is no way in hell that the World Trade Center towers [plural] collapsed as a result of being hit by airplanes. There is no way in hell that building number 7 should have collapsed that day either, after all it wasn’t even hit by an airplane, but it did, all 47 stories of it. The truth is, George Bush is both lying and hiding something ~ he’s hiding the fact that he’s complicit in 9-11 and used the treasonous attacks as an excuse to lie to the American public in an effort to further the Zionist agenda by justifying the invasion and occupation of Iraq and Afghanistan. The Zio-American government is just about ready to launch another terrorist attack, but this time it’ll be used as an excuse to attack Iran. 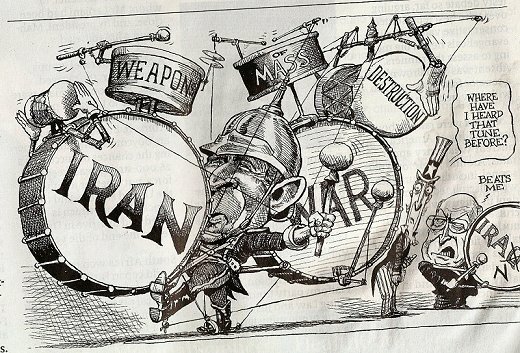 ED: It is now September, 2012, and the drums under Obama are ringing louder as Israel deafens the world with its screams against Iran. Will we, the American people stand for it again? Will we willingly give up our children to be drafted and ground to pieces by the Zionist war machine? Will we continue to tolerate a media that splashes the face of any Arab that happens to be supportive of the Palestinians’ plight all over the cover of every news magazine, newspaper, and television network in this country, all the while denouncing him as a terrorist, when that same media refuses to report stories that are vastly more significant, but involve Jews committing acts of terror against the people of the United States of America? This is happening right now, at this moment, did you know that Al Qaeda’s most recent spokesperson is an American Jew from California named Adam Pearlman whose grandfather was a board member of the Anti-Defamation League? It’s a fact, yet the media isn’t telling you that. Have you heard of Ariel Weinmann? No? You should have, he was arrested approximately five months ago for having stolen Top Secret data directly related to America’s National Security in that it was connected with to the targeting of nuclear missiles and gave it to Israel? Did you know that the American media did everything it could to lie about Weinmann, to suggest that he wasn’t a Jew and that he didn’t give that information to the Zionist state? It’s true! 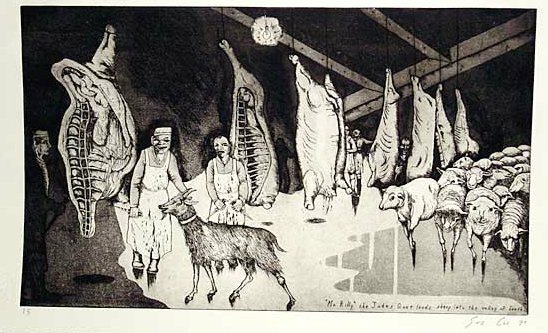 Piper’s The Judas Goats is a book that explains how all this happens ~ it discards pointless ambiguities and gets right to the core of the problem. One cannot afford not to have Michael Collins Piper’s book The Judas Goats in their research library, it’s a must have, especially as an addition two of Piper’s other books, The High Priests of War and The New Jerusalem. That's a great eye-opening book by Collins Piper. If you haven't read it, folks, do yourself a favor and read it.